Personalised gifts are chosen with thought and care to make the recipient feel special – so ensure the experience is complete by wrapping it up in branded tissue paper. Everyone knows someone who has it all – or is incredibly difficult to buy for – and this is where personalised gifts come into their own. They add the special touch simply. But it is not just about the special touch, it is about quality as well – after all showing you care should be a lasting gesture. When looking for personalised gifts shoppers are looking for quality and luxury – using branded tissue paper to package the goods says just this. 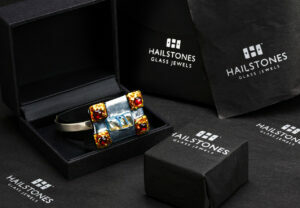 Personalised gifts are often delicate gifts such as ornaments, jewellery, mugs, cufflinks or glasses. These need protecting whether bought off the shelf or directly from the manufacturer. Rather than swamping the gift in bulky, unattractive packaging, branded tissue paper gently protects while looking sleek and inviting. Branded tissue paper allows the recipient’s experience to begin by unwrapping the layer, giving a personalised gift a greater impact. If your brand is one that you are rightly proud of then displaying your logo should again be seen as a sign of quality and luxury. Buyers will have this in mind when they choose where to buy personalised gifts. Of course branded tissue paper serves a dual purpose in that it advertises the brand to the person unwrapping the gift. When it comes to creating a personalised experience the details matter. Opening a box containing a gift neatly swaddled in branded tissue paper is a sensory experience that people will enjoy and remember. And that link to remembering where a gift came from and the sense of luxury and excitement that comes from unfolding the branded tissue paper should have customers and recipients returning for more. When packaging personalised gifts use branded tissue paper to create a delivery experience that exceeds expectations. 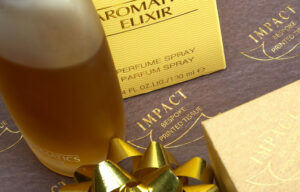 For more information about using branded tissue paper to package personalised gifts contact Impact Tissue.